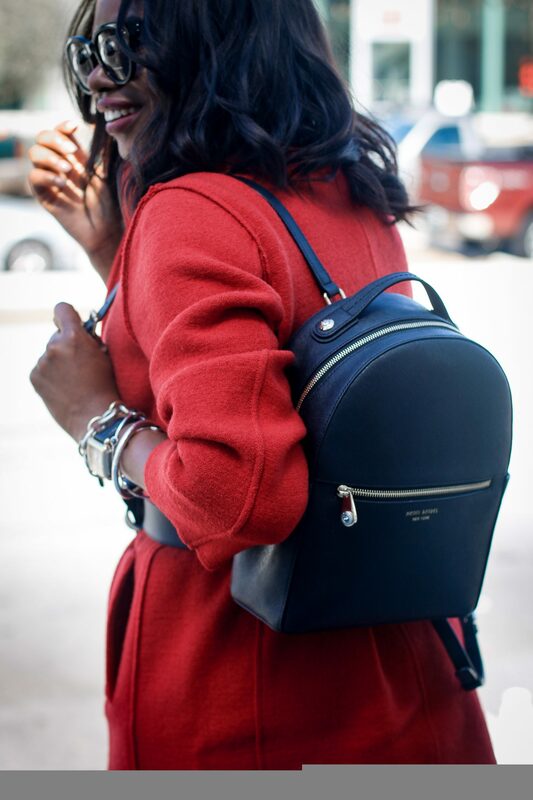 If you haven’t already noticed red is a major color this fashion season. The ability for the hue to literally pop, and add life to an outfit is why you should include this beautiful color to your wardrobe. When the weather starts to become cold, more and more people tend to opt for darker colors. 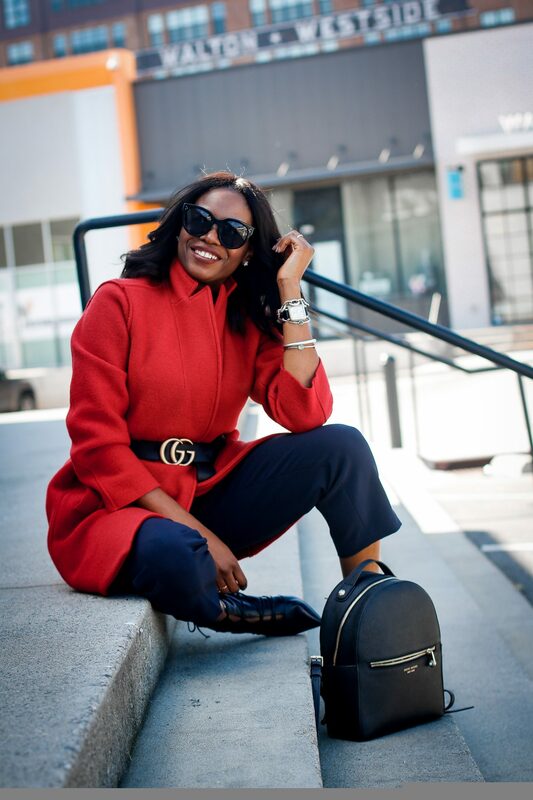 I personally love color, however, if you believe darker colors suit you better during the fall that is ok. To add interest to your darker looks for the season add a red coat. Dark colors do an amazing job of complimenting this hue so don’t hesitate to pair it with what’s already in your wardrobe. 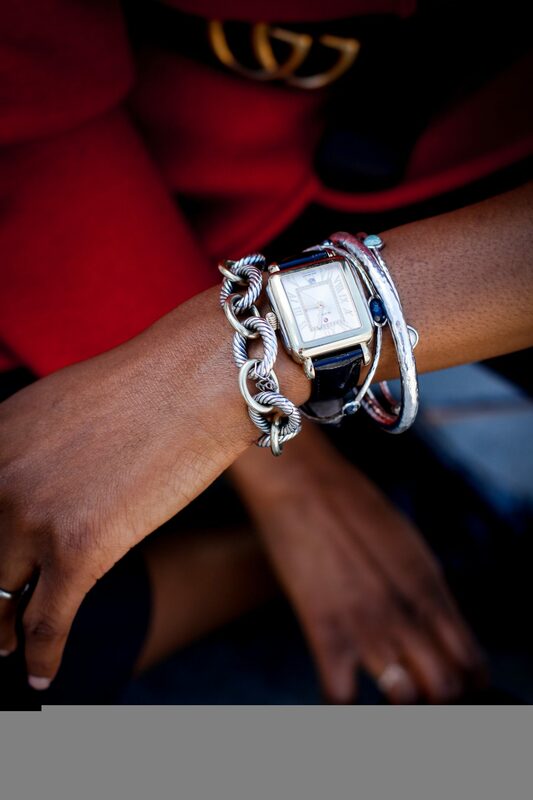 Because red is such an important primary color, it tends to work with almost every color on the color wheel. 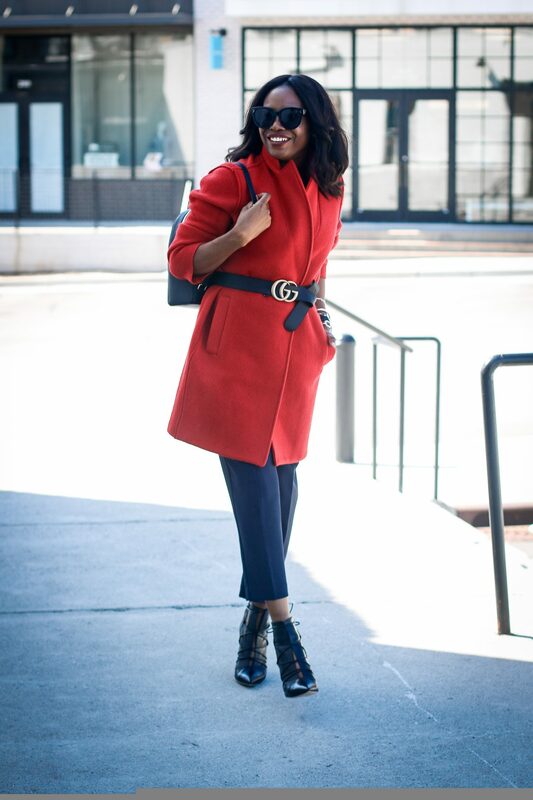 If you love the trend, but feel like it’s too much color to wear as a top or bottom, simply opt for a red coat. 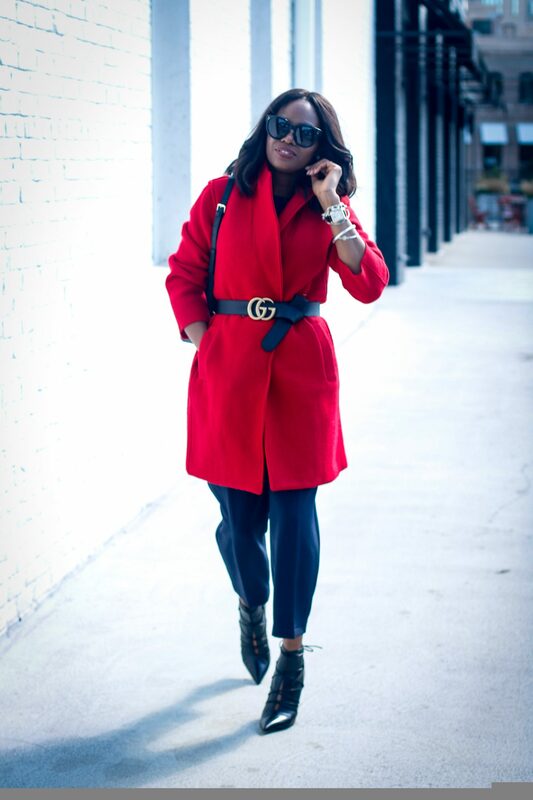 A coat is a great way to add color to an outfit because it is not a permanent fixture of your outfit. 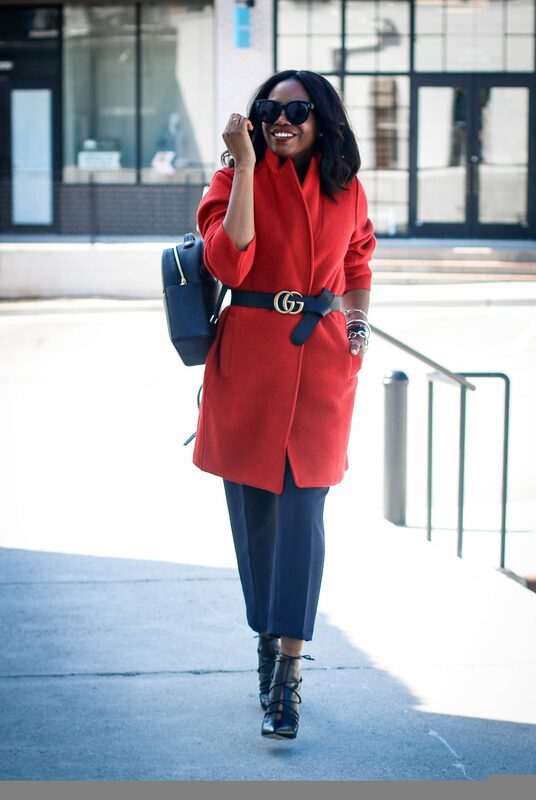 My outfit of the day is a great example of how a red coat not only adds interest, but it also adds a touch of chic by simply adding a belt.